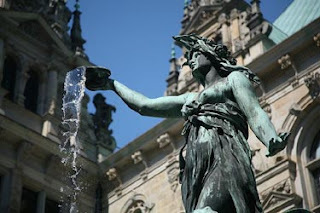 The photograph of Hygieia fountain in the city hall courtyard, Hamburg, Germany is a taken by Daniel Schwen with Canon EOS 5D. The picture is capturing the statue of a fountain as the focal point and the building as a blurry background. The picture has great composition and featured at the wikimedia commons. The photographer are using 1/1600 sec Exposure time, 105 Lens focal Length, 500 ISO speed, 10.625 shutter speed and manual white balance.